The following is a guest post by Mike Neumegen from CloudCannon. This final post is about adding some functionality to a Jekyll site that isn't possible: comments. That's because Jekyll has no backend component in which to save comments. 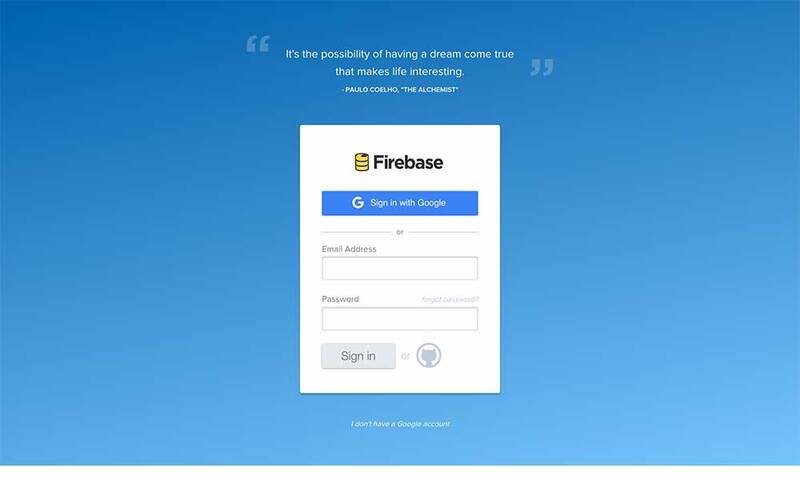 But, we don't even need that if we do it entirely front-end with Firebase! In this series, we're building a site with a blog and content management system for Coffee Cafe, a fictional cafe. 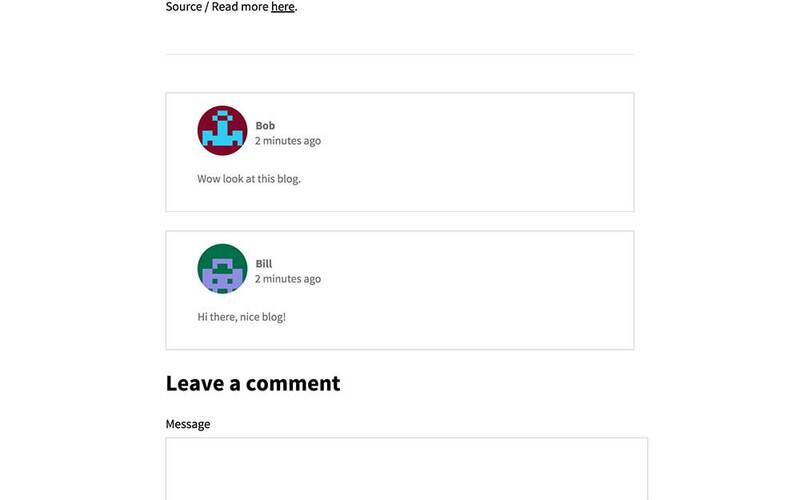 This final post is about building a custom commenting system with Firebase. We're going to store our blog comments in Firebase and retrieve them when someone views a blog post. Once you've signed up, create a new app for the blog comments and record the App URL for later. postRef.push() creates an array in Firebase if it doesn't exist and returns a reference to the first item. 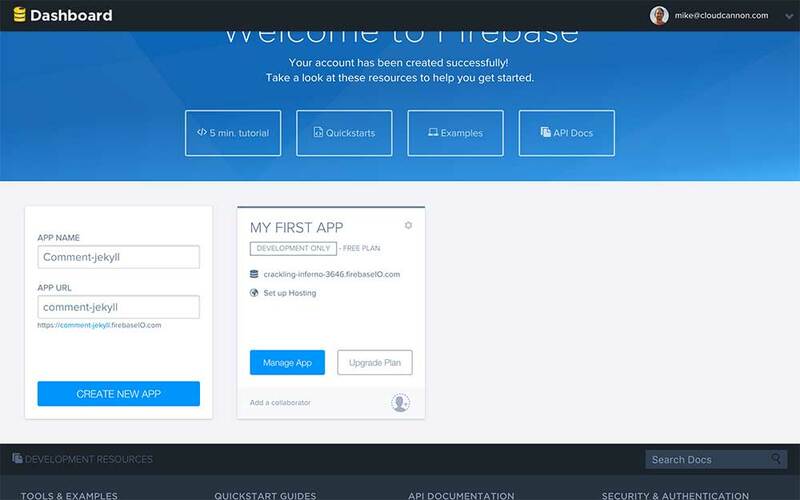 set saves the data to Firebase. Try out a working demo here. Open two windows and post a comment, you'll see it appear in both windows straight away. That brings us to the end of this series. 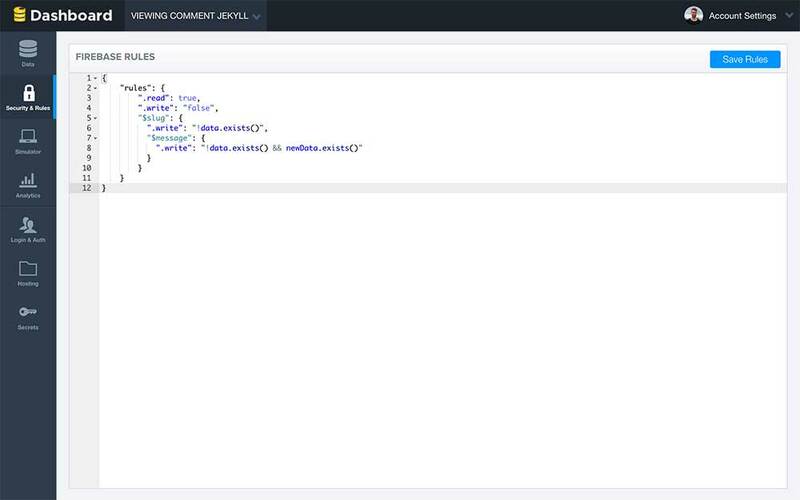 In three short tutorials, we've gone from a static site to an updatable, live Jekyll site with our own commenting system.